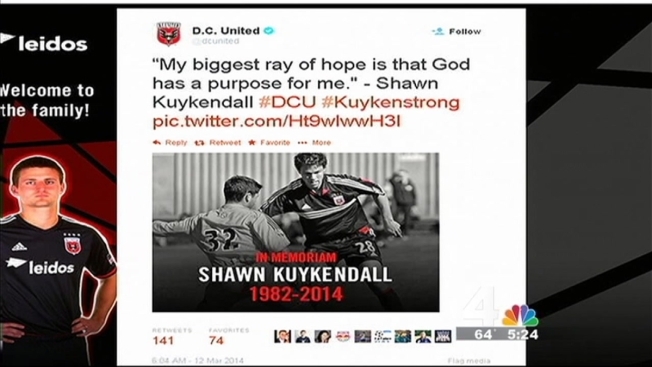 Shawn Kuykendall, a former midfielder for D.C. United and American University, lost his yearlong battle with thymic cancer early Wednesday morning. He was 32 years old. D.C. United selected Kuykendall in the fourth round of the 2005 MLS Supplemental Draft. He was a standout at American, where he finished his collegiate career ranked second in school history in assists (29) and seventh in goals (23). He was named Patriot League Offensive Player of the Year in 2004. He later joined the Eagles' coaching staff.